James Tylor’s work explores racial and cultural identity and its historical resonance. Focusing predominantly on 19th century Australian history and the entrenchment of the colonial context, Tylor’s work is framed by his own cultural heritage comprising Aboriginal (Kaurna), Māori (Te Arawa) and European (English, Scottish, Irish, Dutch and Norwegian) Australian ancestry. Tylor uses experimental and antiquated photographic processes, including daguerreotype, cyanotype and albumen techniques, to interrogate photography’s role in shaping the representation of Indigenous Australian and Māori culture in the 19th century. His work exposes both the omissions within and the violence of this photographic narrative. By adopting the photographic techniques that were used in the context of colonisation, and by extension provided the tools through which the colonisers could influence the representation of Indigenous people, Tylor reclaims an apparatus of visual control and disrupts the colonial gaze. Tylor’s 2015 series Terra botanica II examines the botanist Sir Joseph Banks’ role in selecting an appropriate site for the disembarkation of the first fleet, effectively determining the ‘point zero’ of the colonial invasion. This historical narrative is loaded with metaphoric significance. Banks’ interaction with the land mirrors the broader agenda of colonialism. As a botanist, Banks subjects the natural landscape to the methodological process of identification and classification. This is a form of control, for the naming of botanical species is a means of exerting ownership over them. 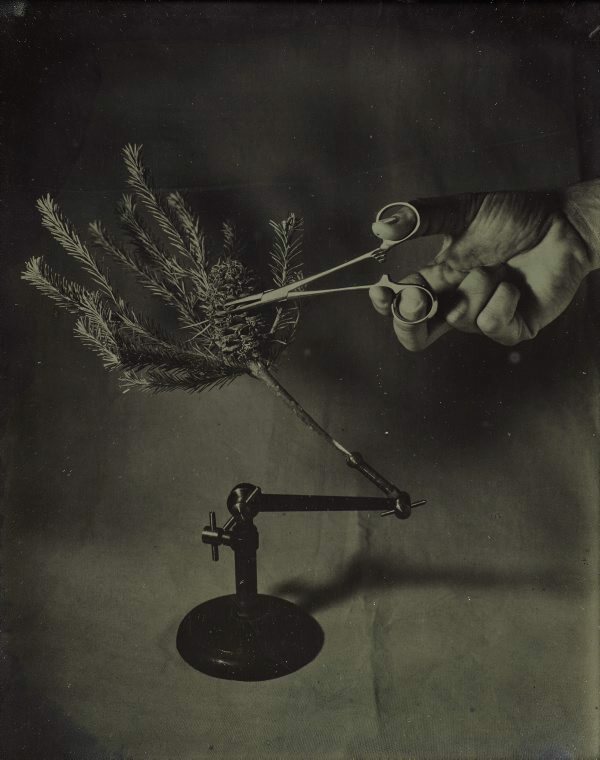 In Tylor’s still life daguerreotypes, the Australian native plants being dissected with 19th century scientific implements become allegories for the dissection of the land by European colonisers who usurped authority from its original inhabitants. The plants have been severed from their natural environments and have been turned into specimens. Pinned, clipped and cut, they are victims of violence in the guise of scientific study and are the subjects of clinical control.